The Four Seasons Hotel Cairo at the First Residence is billed as Cairo's only hotel with dramatic views of both the Nile and Great Pyramids of Giza, while only moments from downtown. The Four Seasons is an integral part of Cairo's most prestigious residential, shopping and casino complex. The 273 luxurious rooms and suites, the most spacious in the city, are classically styled with eclectic touches and 21st-century amenities. Four Seasons Hotel Cairo is a sanctuary on the west bank of the Nile, at the centre of the prestigious new First Residence shopping and residential complex. The Hotel's 269 guest rooms and suites, the largest in the city, take full advantage of the diverse setting with dramatic views. Four Seasons Executive Suites feature spacious king bedrooms with a separate dressing area, secluded from the comfortable living room by French doors. The suites feature an in-room safe, a queen sofabed, and an armoire with a television, VCR, DVD player and sound system. They also include a desk, two-line telephones, fax/modem line and high-speed Internet access. The full marble bathroom includes a deep soaking tub, separate glass-enclosed shower, WC, bidet and telephone in a separate room. Premier Rooms are exceptionally spacious, and offer spectacular views of the Nile or the pyramids and the botanical gardens. Premier Rooms feature an armoire with a television and DVD player, and are equipped with a desk, two-line telephones and high-speed Internet access. The full marble bathroom includes a deep soaking tub, separate glass-enclosed shower, large granite-topped vanity and a WC with a bidet and telephone in a separate room. Deluxe Rooms are richly appointed, decorated in soft tones and offer superior views of the Nile or the pyramids and zoological gardens. Deluxe Rooms feature an armoire with a television, an in-room safe and a private bar, and are equipped with a desk, two-line telephones, a fax/modem line and high-speed Internet access. Comfortable and spacious Superior Rooms offer views of the Nile, pyramids or botanical gardens. Superior Rooms include an in-room safe, refrigerated private bar and an armoire with a television. They are equipped with a desk, two-line telephones, a fax/modem line and high-speed Internet access. Remarkably spacious Standard Rooms offer views of the Nile, pyramids or botanical gardens. Standard Rooms include an in-room safe, refrigerated private bar and an armoire with a television. They are equipped with a desk, two-line telephones, fax/modem line and high-speed Internet access. Select Standard Rooms are equipped for wheelchair use. Located on the Hotel's 19th and 20th floors, three-bedroom Royal Suites offer breathtaking views of Cairo and its unique surroundings. Royal Suites feature a king-bedded master bedroom with walk-in closet; the second king bedroom can be connected to a third twin bedroom. The spacious living area includes an executive study, a dining room with pantry, a private bar, a 100-centimetre (40-inch) plasma screen television, a DVD player and a sound system. It also includes a desk, two-line telephones, fax/modem line and high-speed Internet access. Three full marble bathrooms include a deep soaking tub, separate glass-enclosed shower, large granite-topped vanity and a WC with a bidet and telephone in a separate room. There is a guest powder room conveniently located off the living area. Truly spacious and luxuriously appointed, the three-bedroom, three-bathroom Presidential Suites offer spectacular views of Cairo from the Hotel's 15th to 18th floors. Presidential Suites feature a king-bedded master bedroom with walk-in closet; the second king bedroom can be connected to a third twin bedroom. The spacious living area includes an executive study, dining room with pantry, private bar, 100-centimetre (40-inch) plasma screen television, VCR, DVD player and sound system. It also includes a desk, two-line telephones, fax/modem line and high-speed Internet access. Truly spacious and luxuriously appointed, the three-bedroom, three-bathroom Nile Suites offer spectacular views of Cairo from the Hotel's 12th and 14th floors. These suites feature an executive study, a dining area with pantry, a private bar, a 100-centimetre (40-inch) plasma screen television, a VCR, a DVD player and a sound system. They also include a desk, two-line telephones, a fax/modem line and high-speed Internet access. The king-bedded master bedroom features a walk-in closet. Luxurious One-Bedroom Suites feature a king bedroom separated from a large living area. A dining area, which accesses a balcony, seats four. The living area features a queen sofabed, an in-room safe, and an armoire with television, VCR, DVD player and sound system. Additional amenities include a desk and high-speed Internet access. A dining area seats four. The spacious bedroom features a large walk-in closet. The full marble bathroom includes a deep soaking tub, separate glass-enclosed shower, WC, bidet and telephone in a separate room. There is a guest powder room located off the living area. Seasons is an elegant, serene restaurant overlooking Cairo and the Nile River. Featuring a dynamic open kitchen and seating 75, the restaurant serves breakfast, lunch and dinner. The space is highlighted by stained glass, wall murals, contemporary artwork and a magnificent Murano glass chandelier from Venice. Sophisticated lighting creates a romantic mood. Try the Chef’s special menu, boasting authentic Italian dishes prepared with passion. The restaurant also provides an inspired selection of nutritionally balanced, healthier fare. A children's menu is available. On Fridays gather with family and friends for brunch. In addition to the spectacular menu items, there is face painting and live entertainment available. On Wednesdays savour a seafood and sushi buffet. Lai Thai provides an exquisite experience in an inviting atmosphere, complemented by authentic cuisine. An arched entrance welcomes guests into a room highlighted by Thai artefacts, silk wall hangings and ceilings decorated with gold leaf, against a backdrop of panoramic views of the Nile River. Lai Thai is located to the right of Seasons. It is open for lunch and dinner and seats 54. Dishes featuring the unique Thai marriage of the delicate and cool with the spicy and fiery are prepared by Thai chefs. Signature dishes are satay ruam (grilled chicken and beef satays with curried peanut sauce and cucumber relish), som tam malakaw (green papaya salad with toasted peanuts and dry shrimps) and kaeng khiew wan neua (green curry with beef and eggplant). Vegetarians will find much to choose from, and guests may also select the level of fieriness of their dishes. Located on the fourth floor by the swimming pool, Aura offers modern Lebanese flavours amid an engaging and sophisticated ambience. Relaxing Nile River views enhance to the tranquil setting. Glass arches, warmly decorated interiors and nature’s greatest canopy, the night sky, set the stage for your dining experience at Aura. With seating for 52, the restaurant serves authentic Lebanese specialties for both lunch and dinner in indoor and outdoor dining areas. The menu offers an assortment of traditional hot and cold mezzas, oriental grills and seafood delicacies. Aura also provides a delightful selection of imported wines from the Bekaa Valley in Lebanon. You can sample an array of shisha flavours in the smoking section. Located off the Hotel lobby, the 220-square-metre (2,370-square-foot) Tea Lounge seats 50 guests and serves a full complement of alcoholic and non-alcoholic beverages, including cocktails and fresh juices. Turkish and Arabic sweets, light snacks, sandwiches and pastas are also available. The Tea Lounge is an ideal meeting place for business or social occasions. Four Seasons In-Room Dining is a fine dining experience within the comfort and convenience of your guest room or suite. Choose from an extensive menu — day or night — that is ideal for time-zone-hopping travellers, impromptu meetings or for quiet, private dining. Discover flexible spaces that adapt perfectly to your goals and technology that accommodates the most demanding presentation and communication requirements. Experienced Four Seasons support is on site to promptly respond to every need. 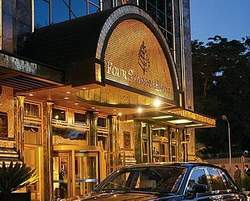 Four Seasons Hotel Cairo features four meeting and function rooms to accommodate from 20 to 270 guests. Each room is equipped with state-of-the-art staging and audiovisual equipment and tastefully appointed with silk panel walls, mahogany trim and millwork, crystal chandeliers and elegant ceiling details. Four Seasons Hotel Cairo expert assistance can help you plan themed coffee breaks, complex business presentations or unforgettable wedding banquets, and Four Seasons service ensures that every detail unfolds just as you'd wish. With views overlooking the Nile, the state-of-the-art Wellness Centre offers cardiovascular equipment furnished with individual audiovisual monitors and personal headsets, as well as an extensive range of weight-training machines and free weights. The services of personal trainers are available. A combined men and ladies fitness room is available, as well as a private ladies fitness room, both offering the latest fitness equipment. Located on the fourth floor, this open-air pool sits on top of the podium that links the hotel and residential towers. The podium also houses the shopping mall. Located 20 minutes from the airport, this deluxe course offers 18 holes of championship golf, set in endless hills of golfing greens. Designed by Karl Litten, this course has a world-class layout and is conveniently located minutes from the great pyramids of Giza. The Gezireh Sporting Club is a ten-minute drive from the Hotel. The largest multi-purpose sporting club in Egypt, it offers 20 clay courts that are lit for night play. Horseback riding in the desert is an exciting and unique experience. Various stables near the Pyramids offer horseback riding and lessons. Although horses are usually rented by the hour, group tours are also available. Memorable Nile cruises are offered on watercrafts designed in the style of ancient Pharaonic papyrus boats. Three different cruises are offered daily, including a dinner cruise featuring a band, folkloric shows and belly dancing.